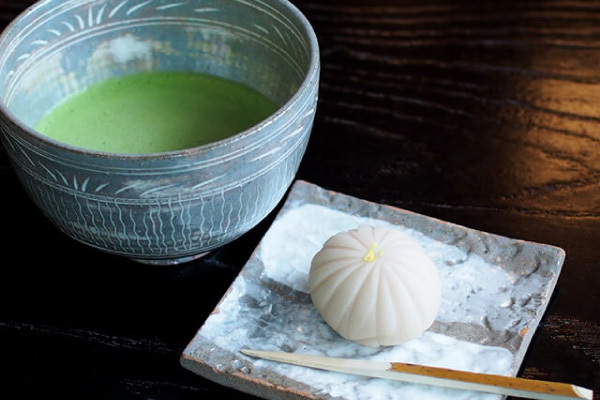 Fermented from soybeans, miso is a traditional, staple food unique to Japan and an indispensable ingredient in Japanese cuisine. 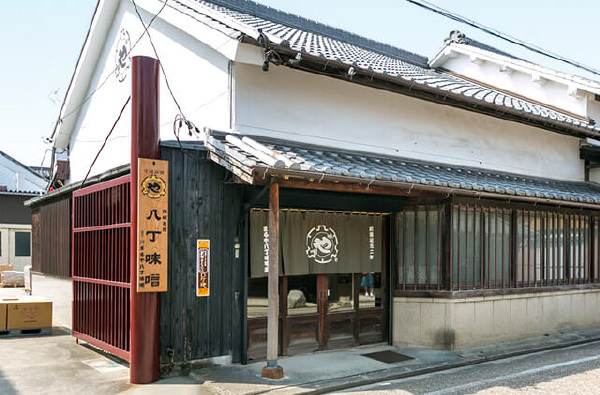 Hatcho Miso, deriving its name from a village with the same name in close proximity to Okazaki Castle, is a pure soya bean miso. 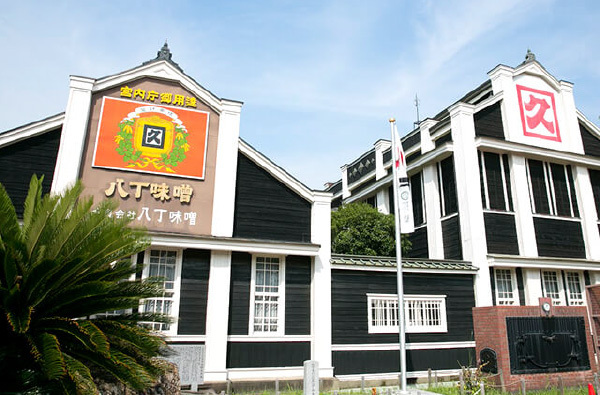 It is proudly produced to this day using traditional methods at two distilleries, representing Okazaki's history and culture. In use for over two centuries, these massive seasoned cedar wood kegs store up to six tons of miso at one time. 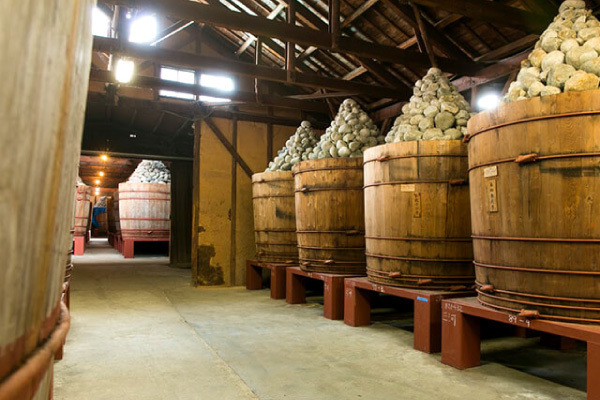 Covered with three tons of solid stones, they are then left to ferment for around two years. 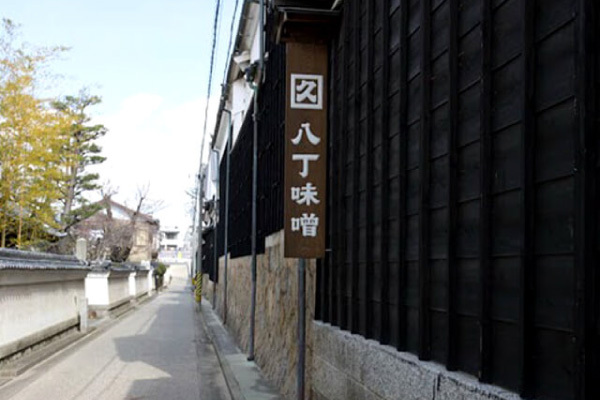 Craftsmen spend up to five years training in learning the best way to place the stones in order to protect the miso against possible earthquakes. 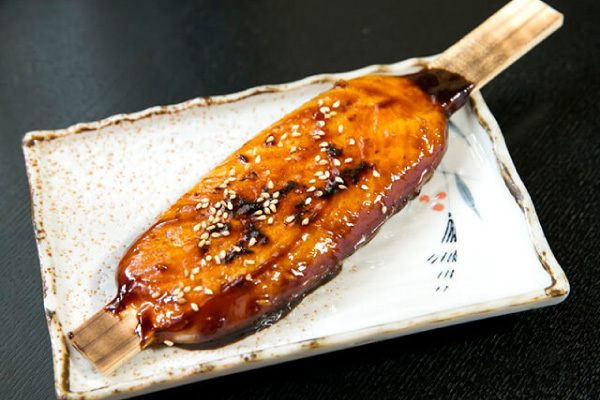 In and around the vicinity of Okazaki Park, visitors are spoilt with a wide array of specialty food stalls and restaurants that serve a variety of cuisine containing prized Okazaki miso. 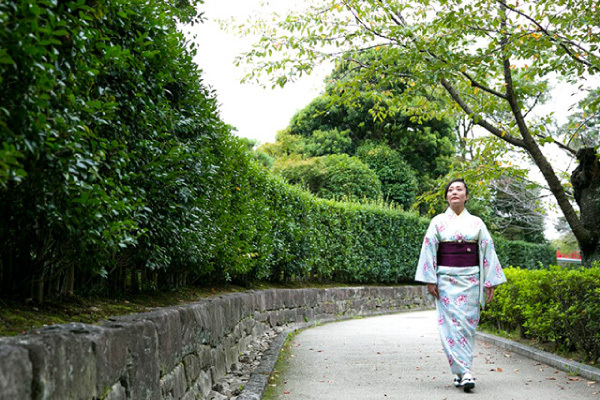 Be sure to try some on a stroll around town. 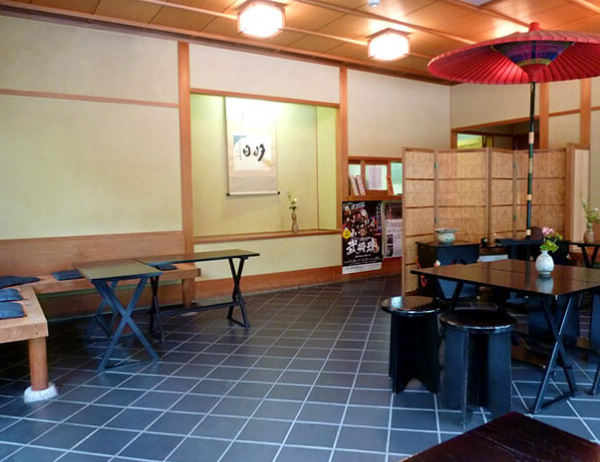 Traditional Japanese food as well as cuisine containing miso can be enjoyed at various stalls and restaurants within Okazaki Park. 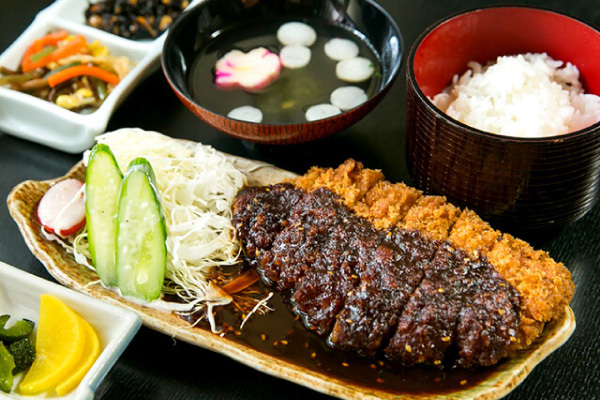 Using local miso, this well-known deep-fried, bread-crumbed pork cutlet, unique to the area is especially recommended. Healthy and delicious! A dish that uses hatcho miso as a base, also contains konyaku (a jelly-like food made from the starch of devil' s tongue), tofu and Japanese radish. 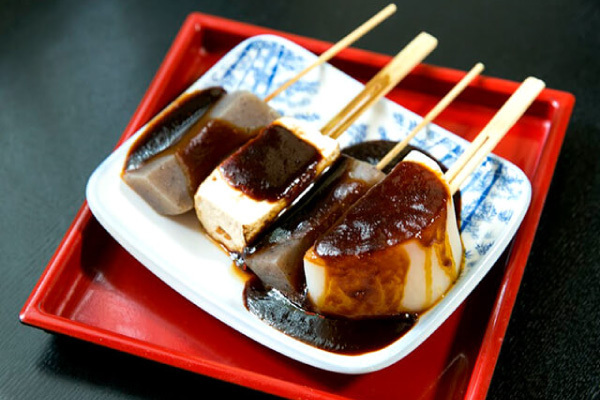 A grilled rice cake, coated in a thick sauce of miso, especially popular in Okazaki and the Tokai region of Japan. 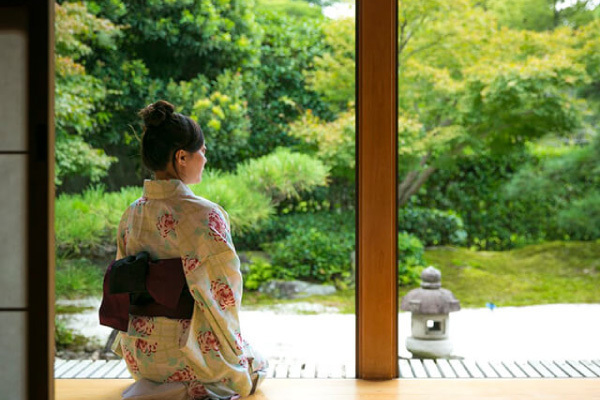 Be sure to experience the unique culture of the Japanese tea ceremony at Jounantei' s Tea Room, an ideal place to catch your breath in an idyllic Japanese setting, located along the river bank of the southern part of Okazaki Park. 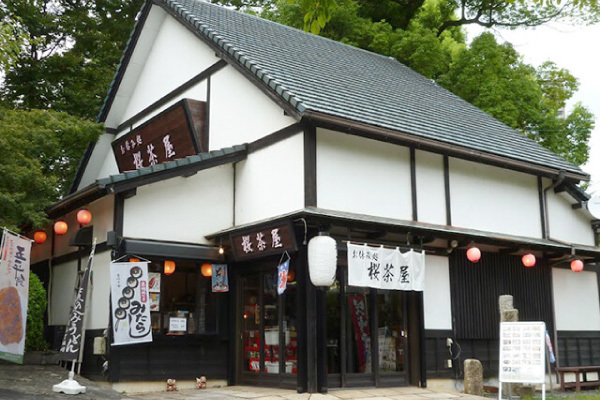 Okazaki Park is recommended as the place to buy a wide selection of gifts including gourmet miso and many other popular snacks, which will surely bring back fond memories of your time in Okazaki. 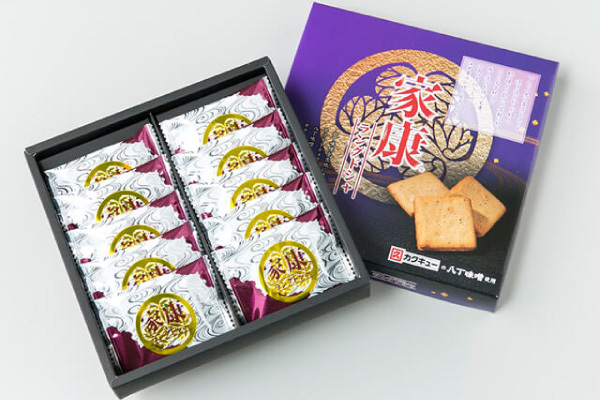 This thin cookie of miso and white chocolate, shaped like a tongue is a local favourite. 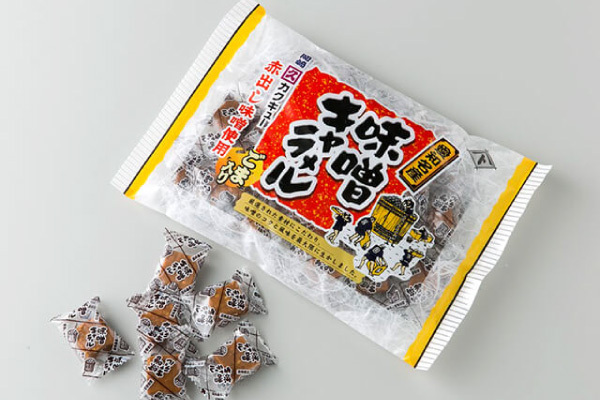 A delicious chocolate crunch in the design of lovable Okazaemon, Okazaki' s costumed mascot character. 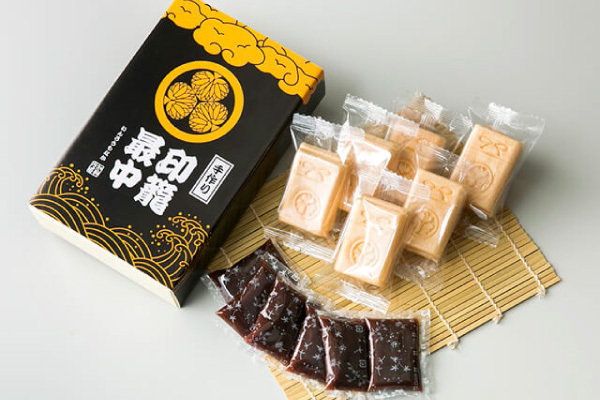 A subtle harmonious combination of sweet caramel and the taste of miso. With a crispy outer layer, this wafer is filled with bean-jam. Try one freshly made. 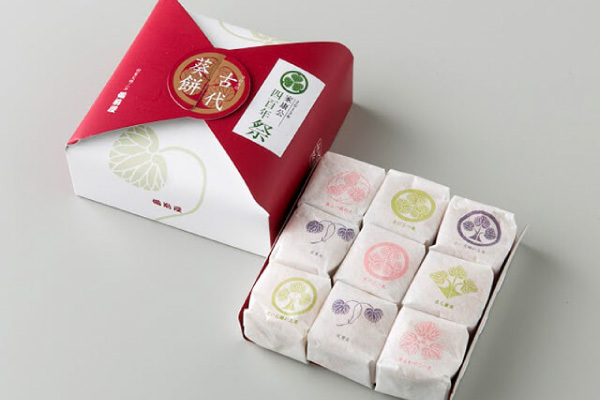 A traditional Okazaki rice cake of the historical Japanese sweet maker Bizenya, characterised by their individual Japanese design on each cake wrapper. 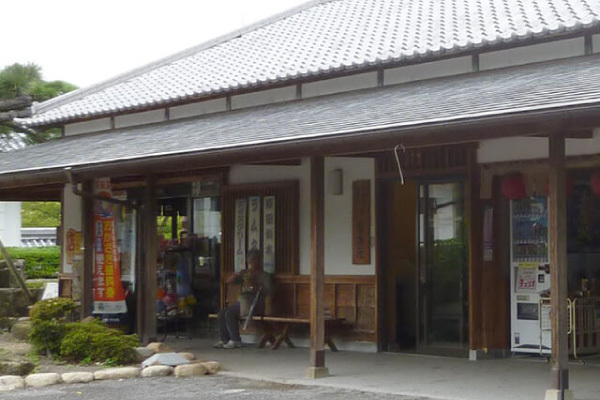 Souvenir shops are located immediately upon entrance to Okazaki Park, offering great shopping for unique Okazaki gifts.